A plan to replace a Wawa convenience store in Brick with an expanded retail building and gas pumps was pitched to the township’s zoning board Wednesday night, but was neither approved nor denied by the end of the meeting. The board heard about three hours of testimony before concluding. 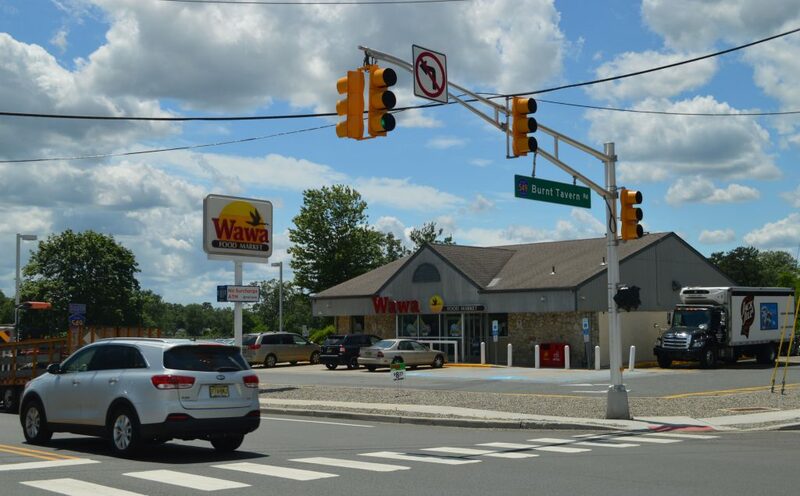 Wawa presented its case before the board, arguing that the location at 6 Lanes Mill Road meets the criteria required to receive a use variance – especially in light of its proximity to the new Garden State Parkway interchange 91. Under the convenience store chain’s proposal, the existing Wawa building would be demolished in favor of a new, 4,736 square foot retail store with the addition of six fuel dispensers with 12 pumps. The project requires the board to grant several variances, including a use variance since the operation of a convenience store and gas station in one facility are not normally allowed under the zoning code. The plot is located in the B-2 commercial zone. Wawa wrapped up its case just before 10 p.m., but the board was unable to take a vote because there is a formally-registered objector to the project. A local resident – who sources said has ties to a competing Exxon gas station – has hired an attorney to oppose the variance. His attorney, Edward F. Liston, said he preferred the matter to be brought to a future meeting so the board could hear uninterrupted testimony. The board settled on Jan. 30, 2019 for the hearing to continue. Wawa’s representatives said the new design would greatly improve the corner’s aesthetic appeal. They also said recent court decisions support the use of variance to place a filling station and convenience store near a major highway interchange. “This is a commuter corridor, which makes the site even more suitable,” Cofone said.